Vancouver has a thriving art and culture scene and, if you’re visiting the city in March, there are lots of incredible exhibitions on display that are worth taking in. Keep reading for a couple of our picks and, of course, be sure to book your stay with us here at Georgian Court Hotel Vancouver. 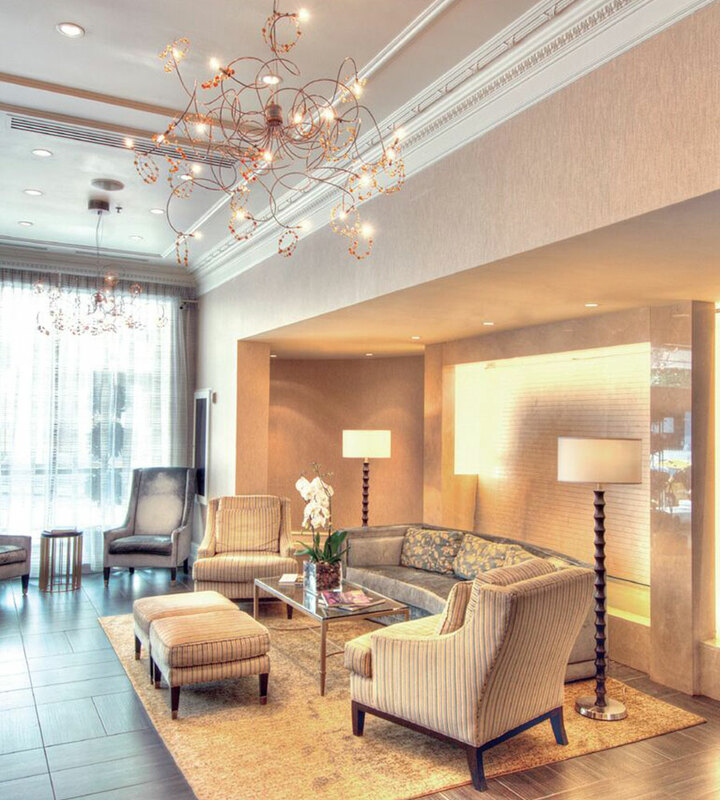 We’re the best choice for luxury and boutique hotels in Vancouver, with spectacular rooms, suites, and penthouses that come with fantastic in-room amenities like Nespresso Coffee Machines, yoga mats, and dining service from our own Frankie’s Italian Kitchen & Bar. Make your reservations today! On at the iconic Vancouver Art Gallery from March 1-May 20, French Moderns: Monet to Matisse, 1850-1950 presents 60 paintings and sculptures from the Brooklyn Museum’s renowned European collections. The exhibition showcases a span of important periods, from Realism and Post-Impressionism to Cubism and Surrealism, with works from artists including Marc Chagall, Jean-Baptiste-Camille Corot, Edgar Degas, Henri Matisse, Claude Monet, Pierre-Auguste Renoir, and Auguste Rodin. At the Museum of Anthropology until March 31, Marking the Infinite is an exhibition of nine different contemporary women artists from Aboriginal Australia. Their works are informed by ancient cultural knowledge and are steeped in the traditions of their communities. At the same time, the subject matter — which is comprised of everything from day-to-day life to tiny flowers — speaks to universal themes of our shared existence.